thank you again for your prayers and feedback at various times during the long journey that led up to the decision about future use of parish facilities. After years of prayer, research, and discussion, we have decided that of the three options on the Breton Group survey, the best option to strengthen parish unity and outreach is Option #1: to totally merge into one parish worship space at Mount St. Joseph Church, and to pursue the sale of St. Mary Church. [While the diocese will be managing the sale of the church, proceeds of the sale would go to the parish if/when the church is sold.] We hope that once it is sold, the building will provide service to the community to the degree that is possible. Bishop Hurley encourages us to explore possibly building a school chapel at our St. Mary School. By the way, thanks to the generosity and hard work of many people, our school has been self-funded for the last 2 years! We are grateful to the Breton Group and the diocese for leading the survey process. We realize it was not a perfect process, and that many were dissatisfied with the information provided on the survey. In the end, the survey was adequate to gather parish feedback. We realize that many desire to have a Catholic Church located in Alma; however, we will explore possibly building a school chapel in Alma, for weekday Masses, funerals, etc. I invite our parish family to reflect on what the Church is: the Body of Christ. I invite us to reflect on what the Mass is: the most powerful way we can grow in unity, and thus be strengthened for outreach. We encounter Jesus in each other, in the priest, in the Word, and most fully in the Eucharist, so that others may encounter Jesus in us. Finally, reflecting on the central truth of our faith, the Dying and Rising of Jesus, gives us hope that as we go through this process of dying and change, God’s future for us beyond what we “ask for or imagine” (Eph. 3:20). I have finally made a decision regarding the future use of parish facilities. I thank you for your patience, your advice, for your participation in the 2015 survey and 2018 survey and in our listening sessions in 2017, and most of all, for your prayers for me, for our parish leaders, and for our parish family. I thank the diocese and the Breton Group for their invaluable help. After much prayer, research, and discussion, I have decided that of the three options on the Breton Group survey, the best option to strengthen parish unity, discipleship, and outreach (evangelization and Works of Mercy) is Option #1, which is to totally merge into one parish worship space at Mount St. Joseph Church, and to pursue the sale of St. Mary Church. Also, Bishop Hurley encourages us to explore the possibility of building a school chapel at our St. Mary School in Alma to be used for school weekday Masses, possibly funerals, and other devotions. Until further notice, the parish offices will remain where they are. I informed the bishop of my decision last Tuesday and he approved it and instructed me to send him a formal letter. He will bring this decision to his consultors later this month for them to ratify. If it is possible, hopefully we will have a closing Mass at St. Mary Church eventually. This will be investigated. Our next steps as parish leaders will include exploring possible renovations of our Mount St. Joseph facilities, exploring the possibility of a building a school chapel, discussing and prioritizing these projects, and seeking approval from the bishop for a capital campaign. Before I made this difficult decision, I prayerfully considered many discussions with Staff, Pastoral and Finance Councils, Building and Grounds Committee, and diocesan leaders; I considered the results of the 2015 parish survey and the written comments, the verbal comments made at the listening sessions in 2017 after we were required to close St. Mary Church because of safety concerns, the results of the 2018 Breton Group survey, and the results of the recent vote by our Pastoral and Finance Councils. The majority recommendation from both the parish at large and from the Councils was for Option #1. With much prayer, I have peacefully come to the decision that this option will best strengthen our ability to be Jesus’ hands, feet, and voice in our community. God will continue to guide us as we make plans for HIS parish! I am humbled by the task the Lord has given me, i.e., to help unite two parish families into one Nativity of the Lord parish family, the former St. Mary parish and the former Mount St. Joseph parish. This journey began long before the parishes officially merged in 2013, which is when I was appointed parish administrator. I am encouraged by your trust in me and in our parish leaders during this long and difficult journey. At the same time, I am saddened that we have lost many parish family members in recent years. I thank God that many of you have joined me in reaching out to them. Let them see Jesus in us as we continue to reach out as His ambassadors. He longs to feed us in the Eucharist, and to forgive and empower us in the sacrament of Reconciliation. Our parish exists for outreach and evangelization! When we had one Sunday Mass this past summer, parish unity was beginning to grow as new relationships were formed. People expressed gratitude for a fuller church and a better experience of Mass. To promote unity, our 10:00am Sunday Mass will be followed each weekend with an event that will promote unity, such as meals, socials, or Adult Faith Formation, such as guest speakers to train us in evangelization and outreach. Our Mass will be followed by Faith Formation for children. We hope parents of these children will stay for any socials or Adult Faith Formation happening at the same time. Sometimes, our youth will serve our parish by helping with meals. Following our first 10:00 am Mass on January 6th, the Feast of the Epiphany, we will have an Epiphany Potluck to celebrate the feast day and to enjoy fellowship with one another! There is a signup sheet in the entrance area for all who would like to bring something to the potluck. The 2018 October Count averages for our two Sunday Masses makes it clear there is enough seating for one Sunday Mass. Parking will be challenging. While there is parking down the east side of Franklin St., the city asks us not to park on both sides of the street as this constricts the flow of emergency traffic. There will be Valet Parking for the elderly and handicapped at the 4:00pm Christmas Eve Mass, and also at our first 10:00am Mass January 6. This change may require sacrifice, whether it is changing a routine, preferred parking spot, or seat in church, etc. But in the end it will be worth it since it will promote unity and outreach. The Lord has put on my heart a vision, which I believe is His vision, for our parish to become known in our community for its contagious UNITY and compassionate OUTREACH. Please join me in praying fervently that this vision would become a reality! Thank you. [As published in Dec. 8/9 bulletin] Our parish-wide survey has been completed. Information, perceptions, questions and concerns generated through the surveys have been analyzed, evaluated and the results tabulated. The results of our survey have been reviewed with the Bishop, diocesan leadership as well as our parish leadership. The bulletin insert this week provides detail results of the study. Parish leadership was pleased with the good response rate from parishioners responding to the survey. A sincere thank you to all those who took the time to complete a survey. It was heart-warming to know that parishioners care deeply about their Catholic faith and the future presence of the Catholic church in the area. A key issue identified through the survey was parishioners need and want more information regarding the options both considered and not considered as well as clarity with associated costs. As a result of needing more information, there is not yet a cohesive majority direction within our Catholic community regarding the facility direction we should go. Our next step is to provide additional information needed to hopefully come to a clear strategic conclusion with our facilities. Let us continue in prayer, seeking the guidance of the Spirit in how we ensure a vibrant future for the Catholic faith in the area. The average attendance count for weekends in October 2017 was 358. This year (2018) it was 361. The average attendance count for weekends in October 2013 was 510. This weekend (Sept 8/9, 2018) we heard from a representative of our Bishops office (our Pastoral Council Chairperson) that we are conducting a parish-wide survey to gain parishioner feedback on various facility options (see bulletin insert in next weekend’s bulletin for more info about survey). As we have made some vitally important decisions in the past, our next step is also vital. The actions we take will impact the presence of our Catholic community far into the future. Each household will receive a survey in the mail next week. Please prayerfully participate by completing and returning the survey by October 1, 2018. Parish leadership and our Bishop earnestly want this parish family to be heard as we make critical next step decisions on our facilities. As always, let us surrender to the Holy Spirit and seek wisdom in deciding these next steps. Thank you. Our Parish Leadership Team had a really good meeting with Bishop Cistone. His sincere hope for us is that we will become a more unified community. He encouraged us to be patient, and not get discouraged. During our discussion, it became apparent that we need to take time to gather more facts. We are also looking into the possibility of a feasibility study. This is different than the last parish survey. The feasibility study will give our parish family members a voice about future use of our facilities. We as the councils will continue to keep you informed and updated. Our Pastoral Council has scheduled some listening sessions, open forums where Fr. Nate and members of Pastoral and Finance Councils will be present, to listen to parish family members who wish to voice their concerns, questions, and hopes for the future of Nativity of the Lord Parish. No need to RSVP. Peace be with you! In a mailing soon to be sent, and below this message, you will find the text of an important announcement given after Masses on Sept. 30/Oct. 1 (2017) about our St. Mary church. [Later, after the announcement below, we discovered we needed to have a parish survey organized by a third party to determine the future of St. Mary church.] After much discussion, discernment, and prayer, parish leaders including our pastoral council and finance council and myself have decided to recommend to our bishop that we take down St. Mary church and rectory. This was not an easy decision. I want to acknowledge that many parish family members are experiencing sadness, anger, and various stages of grief. Some have expressed that they feel like God is leaving their area. They’re concerned they won’t be able to pray in St. Mary church, or visit Jesus in the Blessed Sacrament in the tabernacle. Many have memories of key moments for themselves and loved ones, such as baptisms, first eucharists, weddings, and funerals. Some say they feel like the community in Alma is falling apart because churches are closing. Some are disappointed that this is happening at a time when our world is experiencing more and more violence and natural disasters. The church is a place to come together and support each other during difficult times. Everyone needs to grieve in their own way. Let’s support each other in our grief not only through prayers but also through phone calls and conversations. If you don’t feel any grief personally, please try to show love to those who may be feeling grief. Remind yourself and others that, “God works all things to the good, for those who love him” (Romans 8:28). God has beautiful plans for our parish. Also, the devil has plans and we must not forget that. The word “Diablo” means divider. Let’s stop the devil from causing division by avoiding any negativity, and focusing on the positive. “Resist the devil and he will flee” (James 4:7). Prayer, including the rosary, is especially effective. Questions you may have: What about our school? If we do close the church, our St. Mary school will remain open. We offer Mass on Fridays in the gym for students and any guests. Will we ever rebuild a Catholic church in Alma? We will continue to explore options for our parish considering our parish population out financial status and the working of the Holy Spirit in our community. Where would the priest live? In a rental temporarily (He will be moving to a house owned and generously offered by the Religious Sisters of Mercy; they will not charge rent). What about items in the church such as St. Mary statue? They would not be destroyed; some [might] be incorporated in our Mt. St. Joseph church. What is the positive? We are at a cross-roads, a new beginning, in the history of our parish, and parish leaders have many ideas about possibilities to renew our parish. We know God will help us! This is an opportunity to build a stronger parish family and community as we work and worship together. We will continue to grow closer as a family by worshiping and socializing at one church, Mt. St. Joseph. Our school is growing in enrollment. While Sunday giving has gone down, fund-raising for our school is up. We have had five successful months of Eucharistic Adoration on Fridays, with regularly have over thirty — and often over forty — parishioners taking time out of their week to go to Adoration to visit Jesus in the Blessed Sacrament. Ministry to the sick and homebound is thriving. Our Adult faith series “Divine Mercy” had good participation. Our Cohort CAFE series has some wonderful opportunities to grow in faith. We have three youth going to National Catholic Youth Conference in November. There are six people preparing to become Catholic disciples in RCIA! Faith Formation for our youth is up and running. Vacation Bible School this past year was another wonderful experience for all involved. It’s not only up to parish leaders. We need ALL parishioners to get passionate about their parish just as they’re passionate about sports, etc. How is God calling you to participate in the exciting things that are happening now at our parish? Look for chances to invite inactive family members back to our parish family and to Jesus in the Eucharist at Mass. We will become a thriving parish family and Catholic community if we work together and pray for our parish. What God wants most is our trust; our lack of trust pains Him. St. John of the Cross says, “We obtain from God as much as we hope for from Him.” Let’s hope, and pray, for great gifts from God! Below is the entire update regarding Nativity of the Lord Parish – St. Mary Church, as presented by Finance Council Chair Jim Grace and Pastoral Council Chair Brian Devine on Sept. 30/Oct. 1, 2017. In reviewing the results of the survey, the councils recommended to band aid St. Mary Church instead of fully repairing the roof, fixing the damaged block wall, repairing and painting the interior finish, repairing and replacing the carpets and pews as well as doing something about the slope in the floor that is difficult for some of our parishioners. This decision was due to the financial standing of Nativity of the Lord Parish. At the conclusion of the survey the decision was made to maintain both sites with minimal maintenance. The only structural improvements done to any of our campus buildings were reactionary in nature, repairing and replacing that which had already failed. Out of the 2015 Survey came the idea to boost various aspects of parish life by 24% in 24 months. One area that we achieved progress is the area of school enrollment. Concerns from several parishioners regarding bats and potential health hazards were brought to Fr. Nate’s and the Diocese’s attention. The Diocese of Saginaw reached out after hearing these concerns. The air quality was found to be acceptable, but there were a number of costly recommendations that need to be completed for liability reasons. The July 2017 rainstorm brought down a large section of ceiling in St. Mary Church, all roof repairs to date have subsequently failed. Infrared imaging by air quality inspector showed water infiltration in many sections of roof and block walls. Our October count since the merger has continued to decline from 510 in 2013 to 370 in 2016 in total, which is a drop of 27%! St. Mary location seats approximately 735 parishioners, Mount Saint Joseph seats 300. The councils reviewed inspection reports, professional estimates, parish budgets and other pertinent information. A partial list of needed repairs includes the entire roof including the spires, the water damage to interior coves, floor by the baptismal font, front steps, the interior ceilings in the pods as well as carpet, pews and floor slope, block walls inside/out and caps on top of exterior block walls. In addition if repairs are undertaken there would be code upgrades that would be needed. After undertaking repairs the entire interior of the church should be restored. • The council’s together with Fr. Nate will be meeting with Bishop Cistone on October 16th to recommend St. Mary Church and Rectory are taken down. 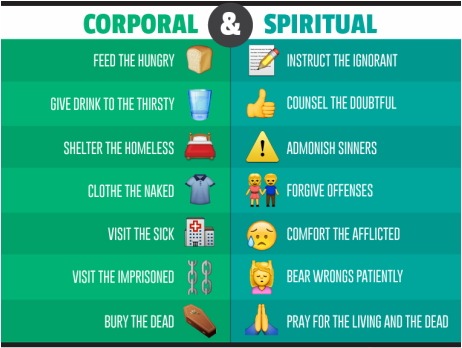 • As important as it is to talk about our physical structures, a bigger concern is our parish community, our brothers and sisters that no longer worship with us, and what can we do as a parish to reverse this trend. • The councils along with all of Nativity of the Lord Parish and Father Nate will continue to explore options for our parish, considering our parish population, our financial status and the working of the Holy Spirit in our community. Please know this is not a decision that your Parish leadership made lightly without thorough research, consultation and prayer. It is important to recognize that if we were facing the same physical structure issues here at Mt. St. Joseph, we would be making the same decision for this location. The real concern is not a roof leak, water damage, or even bat feces. The concern that every one of us as parishioners of NOTL should have is our 27% decrease of parishioners! What have we done, not as NOTL council leadership but all of us as Catholics living in Gratiot County to reach out to fallen away Catholics? This is something we need to come together and create that sense of belonging. As a pastoral council we would like to have productive discussions about opportunities for youth and adults that further develop their faith. We hope that our communities will embrace this new journey, as we truly unite as one NOTL Parish to worship, serve and evangelize as disciples of our Lord. It is important how we perceive this information and what we do with this information. I encourage all of us to stay positive work together and avoid fueling negativity that prevents us from uniting further. Through the hard work, cooperation and commitment of ALL members, Nativity of the Lord will become a Christ-centered stewardship parish that welcomes, worships, teaches, serves and evangelizes. 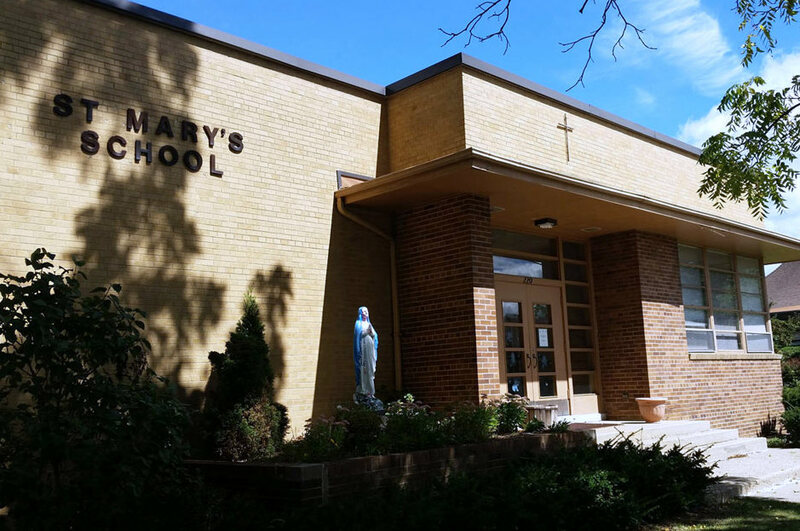 St. Mary Catholic School, a ministry of Nativity of the Lord Parish is committed to academic excellence and forms children into life-long disciples of Christ and responsible stewards of the parish, the community and the world. please guide Nativity of the Lord parish. to serve, and to evangelize together. by encouraging me to be more welcoming. by motivating me to always attend Mass. by inspiring me to learn more about You and Your Church. by opening my eyes to see Jesus in every person. by removing my fear of sharing the Gospel. that we may truly become a holy family. Mary our Mother, pray for us. 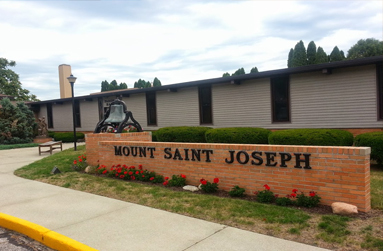 Mount Saint Joseph is located in St. Louis, MI. Mount Saint Joseph has a beautiful social hall which is used for a number of Nativity of the Lord Parish events. It also has a large amount of land making it a great place for many different types of activities. It also hosts a large garden tended by dedicated volunteers to grow food which is given to the poor (and occasionally a few deer).